Sugarcane aphids still hanging on! 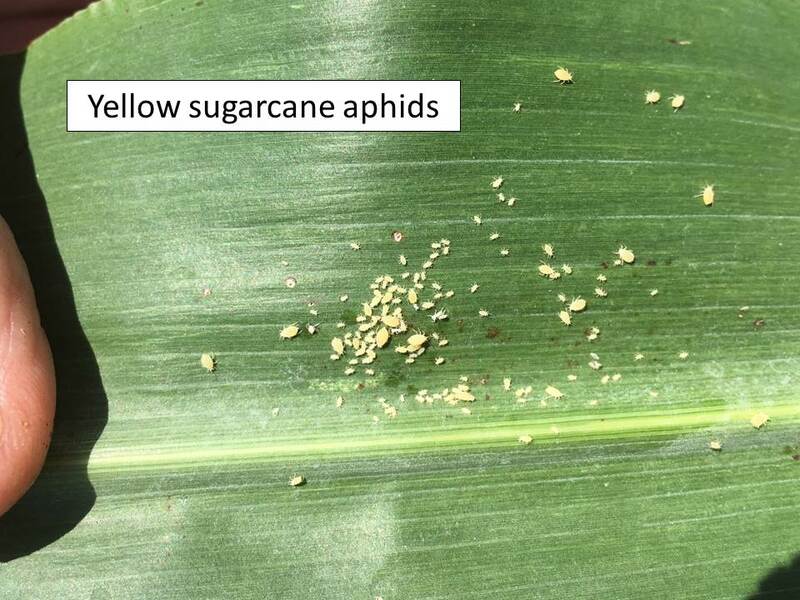 Sugarcane aphid populations continue to persist in sorghum across much of Kansas, but cooler temperatures are slowing them down considerably. 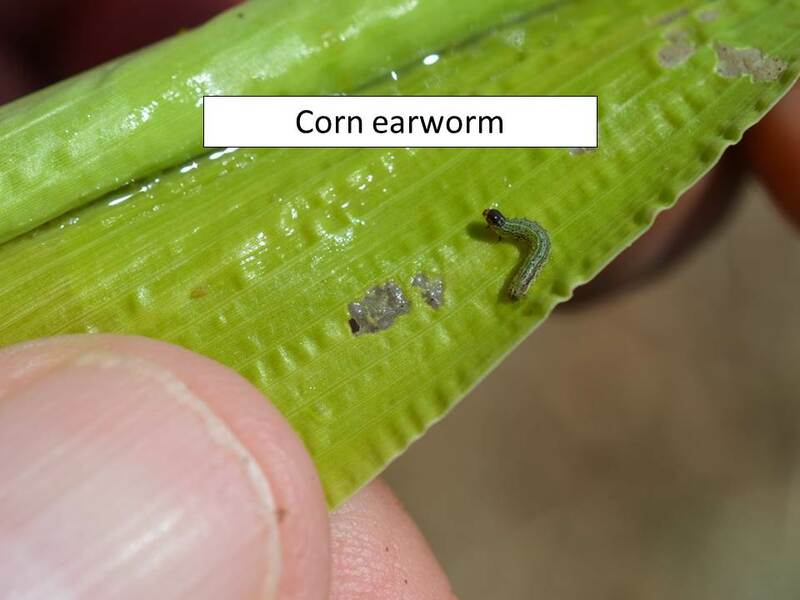 However, monitoring populations is still strongly encouraged as infestations can grow quickly if temperatures warm up. 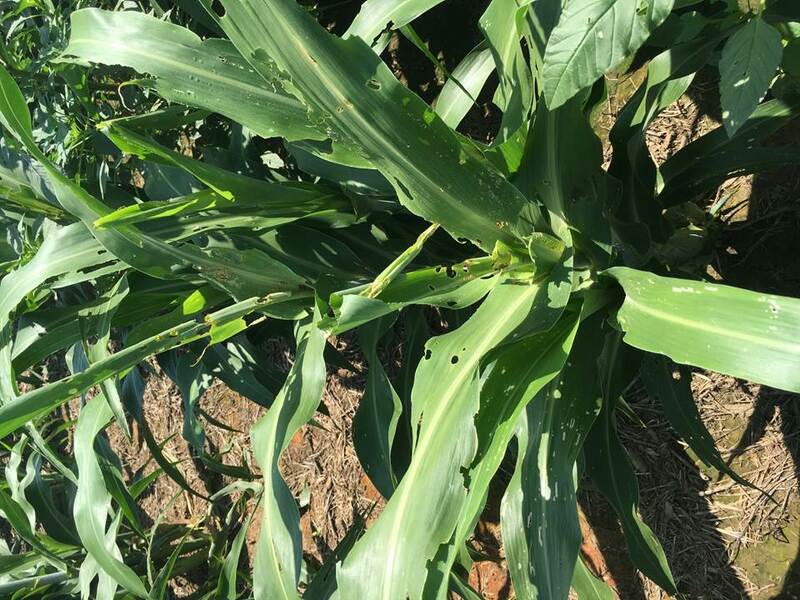 Winged aphids are moving from early planted sorghum fields to late planted fields, so pay close attention to whether infestations are winged or wingless. 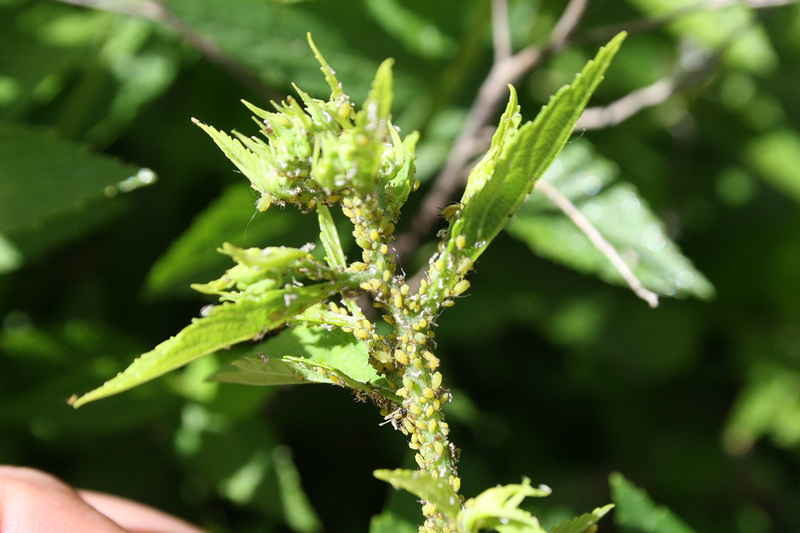 Wingless aphids have the potential to increase rapidly, but several factors, including presence of natural enemies, can help slow population growth. In all cases, be sure to monitor populations closely. Bottom line: scout often. Yield loss due to aphid feeding can occur up through black layer. 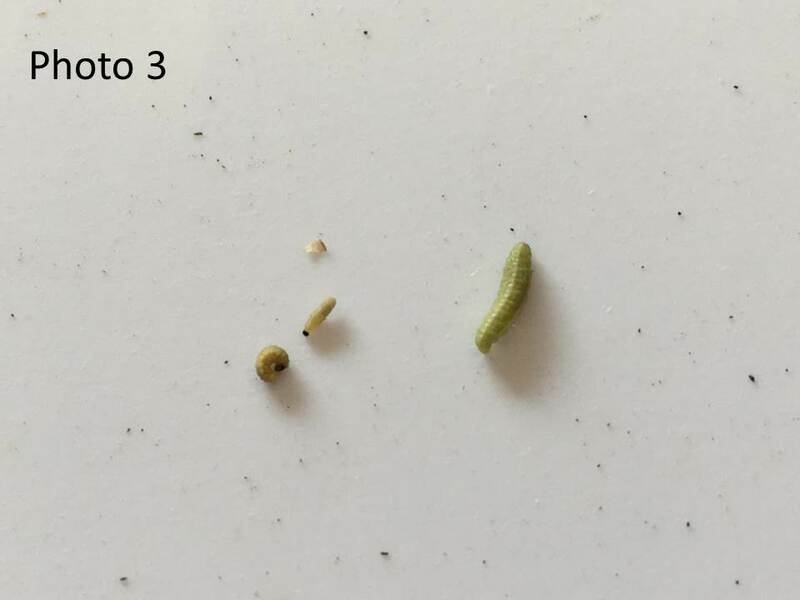 However, most losses caused by sugarcane aphid occur between boot stage and up through soft-dough (50% dry weight in the seed) stage; more data is needed to understand losses between hard dough and black layer, but seed weight (grain quality) and total yield may be reduced. Further details about sorghum growth and development can be found here (MF3234.pdf). 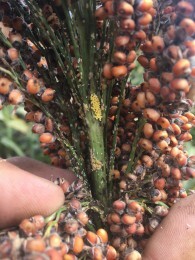 Lady beetle eggs in a sorghum head. Harvest of early-planted sorghum is underway, and late-planted fields are only a couple of more weeks from being ready (depending on weather conditions). 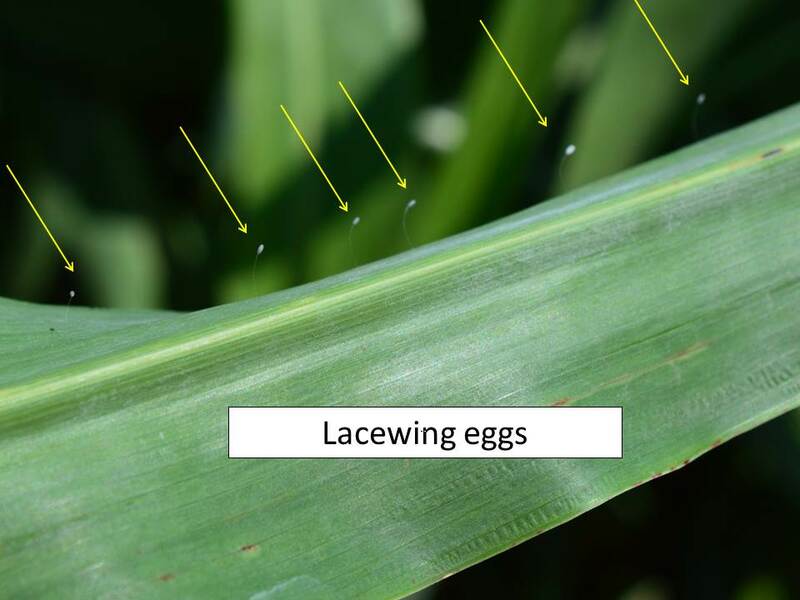 Most decisions to spray for sugarcane aphid this time of year are aimed at avoiding mechanical issues associated with high aphid numbers and honeydew coating leaves and heads. Although buildup of honeydew can cause significant harvest problems, this is not an inevitable outcome. Weathering can reduce honeydew stickiness, so once grain is fully ripe, delaying harvest for a week or two may be an option, provided there is no indication of lodging. As lower leaves senesce or die off, aphids migrate to the upper leaves and eventually into the heads. We have observed this behavior in several fields this fall. 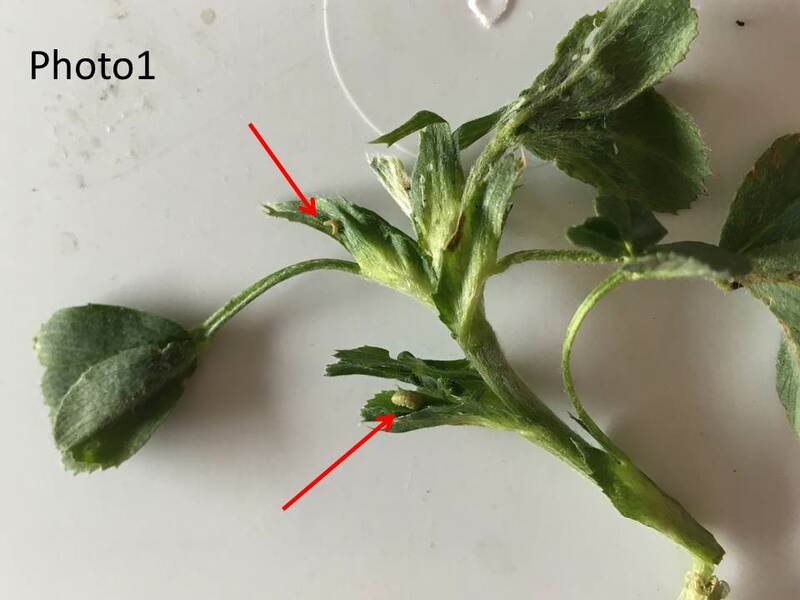 However, colder overnight temperatures will significantly retard aphid growth and reproduction, and significant aphid mortality may occur before freezing. 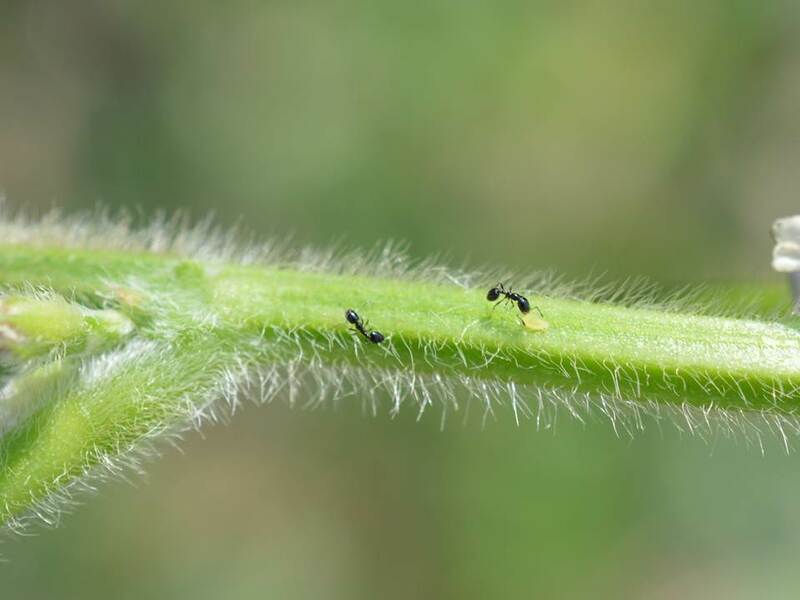 Aside from honeydew and potential mechanical issues, lodging can also be associated with high aphid populations. 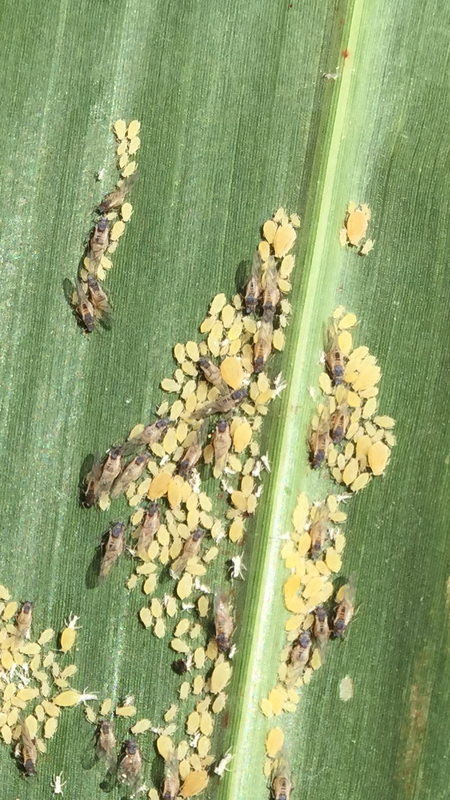 It is important to understand that sugarcane aphid is not the only pest in sorghum this fall. 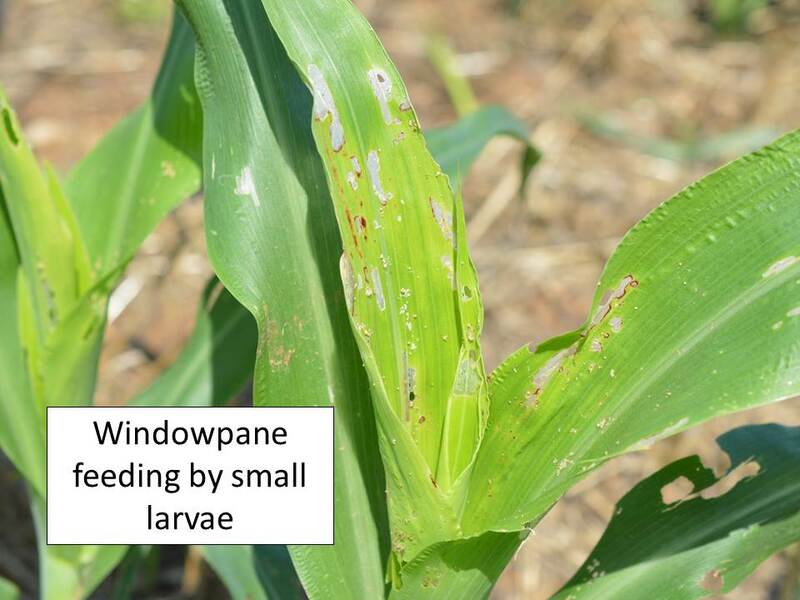 We have observed high levels of 2nd generation chinch bugs feeding behind panicle leaf sheaths, which can also weaken stalks and cause lodging. In addition, from a plant physiology standpoint, during the last weeks of grain filling sorghum stems tend to shrink due to natural plant remobilization process, affecting final stalk strength. 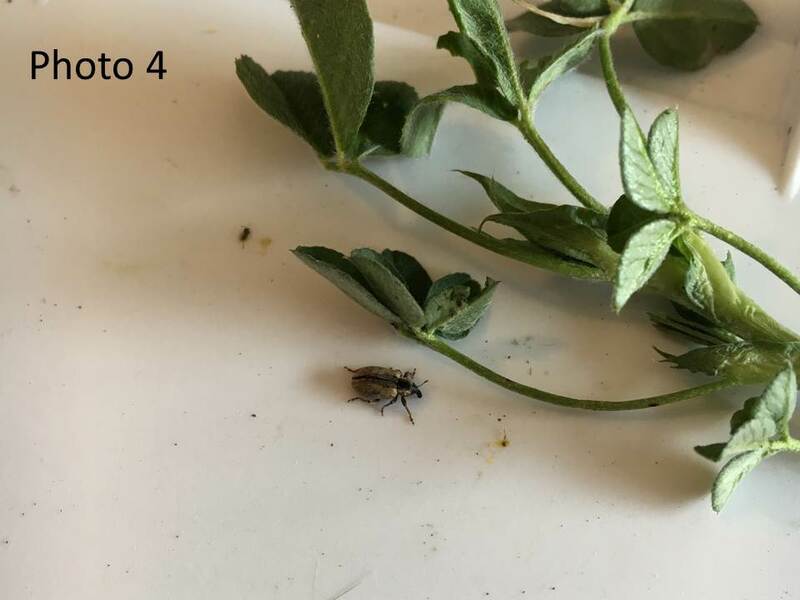 When making a decision to treat so close to harvest, growers should consider four main factors: 1) overnight temperatures, 2) stage of crop maturity and potential yield, 3) aphid density, and 4) and the preharvest interval for registered insecticides. 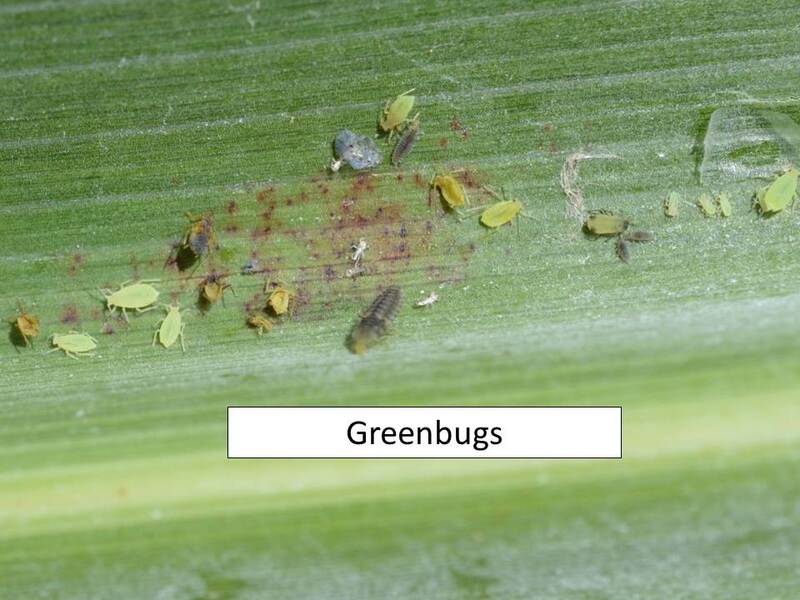 If the aphids have been heavy, but your grain has turned color, you may want to wait until the honeydew weathers to become less sticky before trying to harvest it. Read and follow the insecticide labels. For Sivanto and Transform, the preharvest interval is 2 weeks. Follow forecasted temperatures for upcoming weeks. Cooler nights will slow populations. 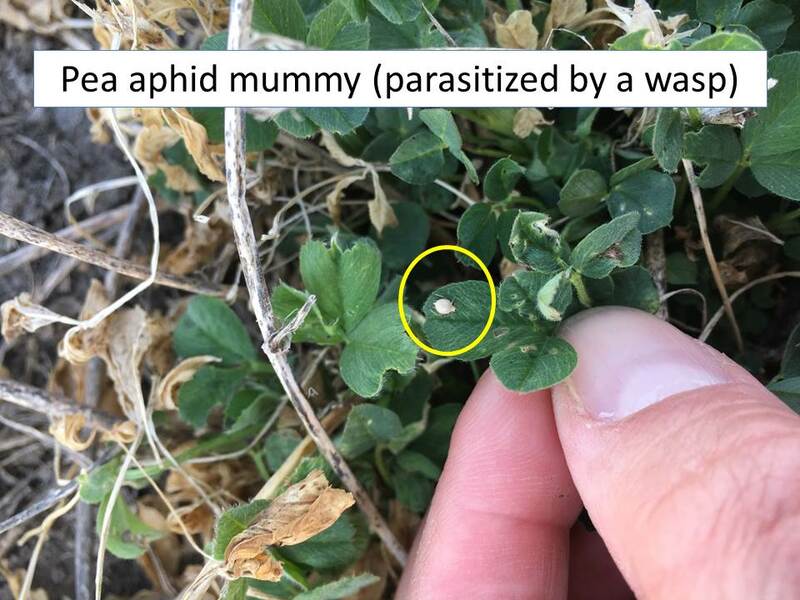 We’ve observed aphids killed by 10 hours at 46F in a small lab study, but more data are needed to understand what low temperatures, for what period, will kill them under field conditions. 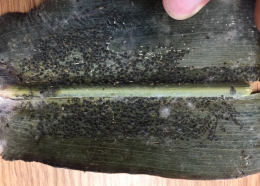 Sugarcane aphids after exposure to freezing temperatures. Again, monitoring fields and relying on more than a single sampling event will provide additional information for making a treatment decision. 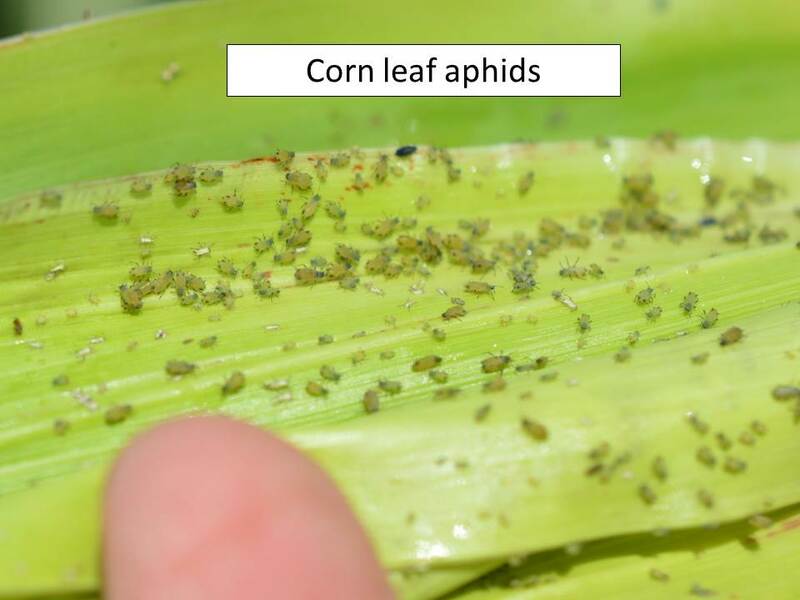 The only reason to treat aphids past black layer is to avoid potential harvest issues. 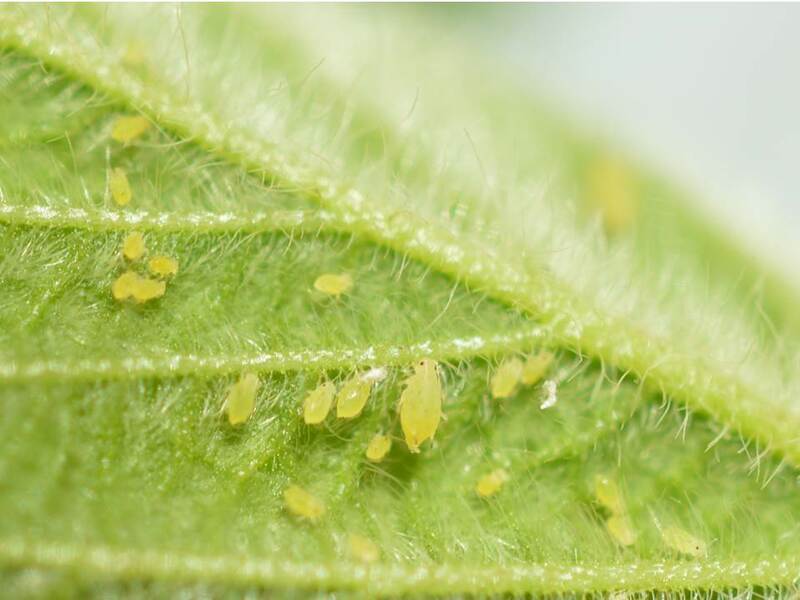 Killing aphids this fall will not impact aphid populations next year in Kansas. This is a migratory pest and will not overwinter in Kansas. 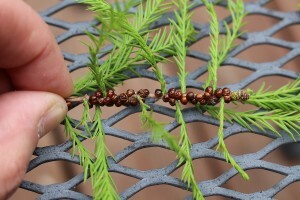 The scales are dark brown, 1/8 to 1/4 inches in diameter (Figures 1 and 2). Some scales may have white markings on the body. European fruit lecanium scale overwinters as an immature on twigs and branches with maturing occurring in spring. In May and June, females lay many eggs underneath their bodies. 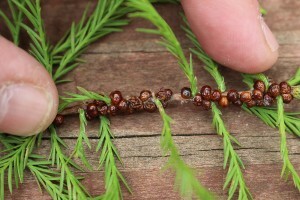 In June eggs hatch into small tan-colored crawlers. The duration of an egg hatch can last several days depending on the temperature. 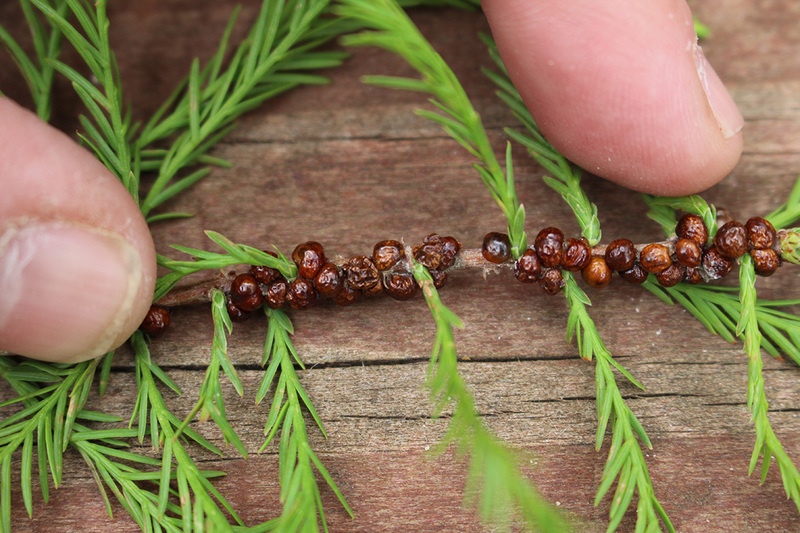 Crawlers migrate to leaf undersides and subsequently feed on plant fluids until late summer. At that point, the crawlers migrate back onto twigs and branches to complete their development the following spring. There is one generation per year in Kansas. Management of European fruit lecanium scale primarily involves timely applications of insecticides. 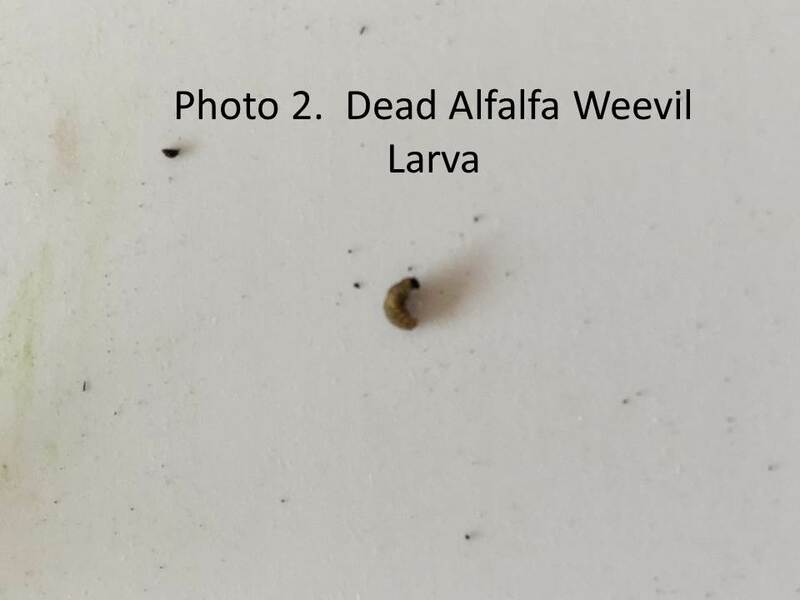 Applications should be made when crawlers are present because the crawlers are most vulnerable life stage to insecticide sprays. Mature scales possess a shell-like covering that protects them from exposure to insecticides. Repeat applications will be required as the eggs do not all hatch simultaneously but may hatch over a three to four-week period. 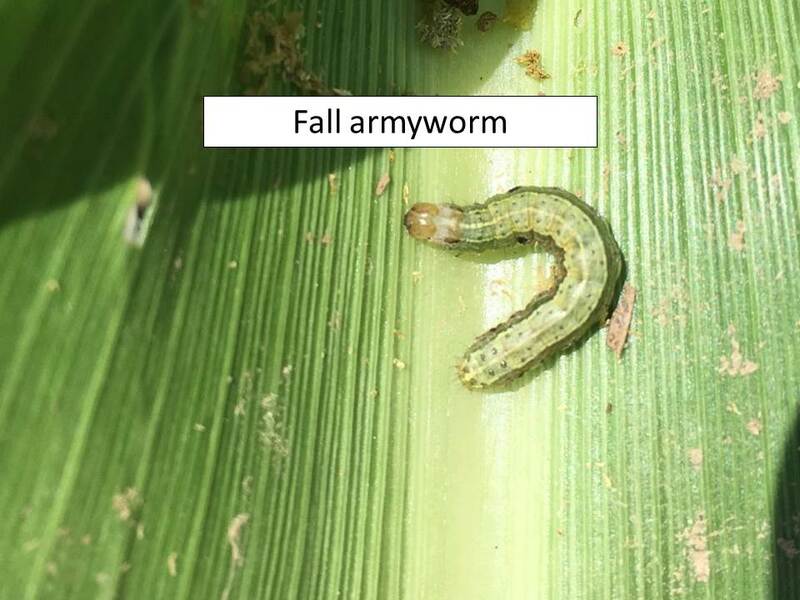 The most appropriate time to apply insecticides is in late June to early July when the crawlers are feeding on leaves; thus enhancing their exposure to any spray residues. There are a number of insecticides, with contact activity that are effective in suppressing populations of the European fruit lecanium scale. However, many have broad-spectrum activity and will kill many natural enemies including: parasitoids and predators. In fact, most out-breaks of scale insects are caused by the indiscriminate use of pesticides (insecticides and miticides). Therefore, always read the label and exercise caution when applying any pesticide. In the winter, dormant oils can be applied to kill overwintering scales by means of suffocation. I need to acknowledge Jeff Otto of Wichita, KS for bringing to my attention that European fruit lecanium scale was active. I have also observed infestations in Manhattan, KS.